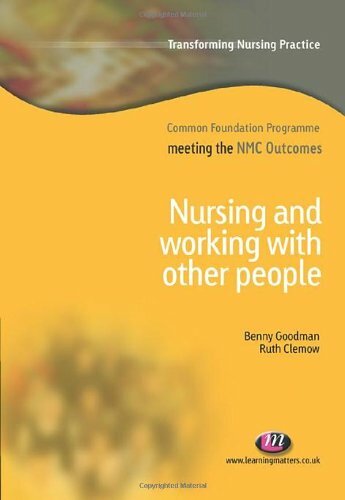 Nurses work with a wide range of people and it is essential that they are able to understand questions such as: Who are service users and what might their needs and perspectives be? Who else is involved in nursing? How do professionals learn and work together? This book will help students understand the policy context that makes these questions important, prepare them for working in a team and working in an environment where roles are evolving. The book will outline assessment requirements and include advice to students on gathering evidence for assessment of practice.